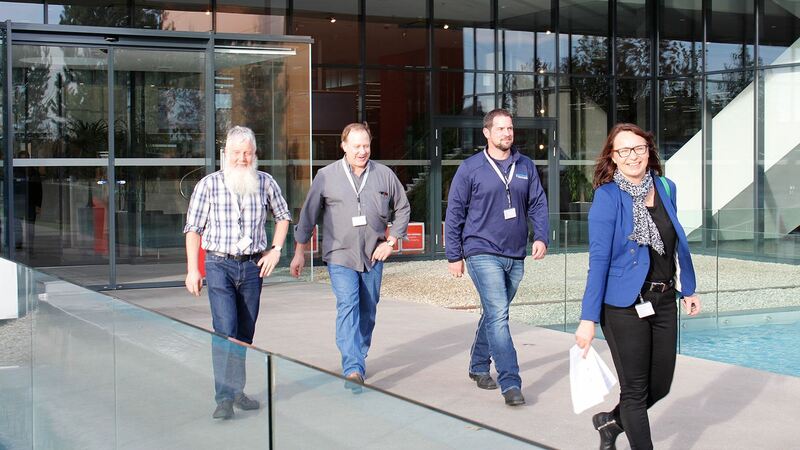 At the beginning of the month, the Fronius Welding Challenge Contest came to its triumphant conclusion when the winners paid a visit to Austria. 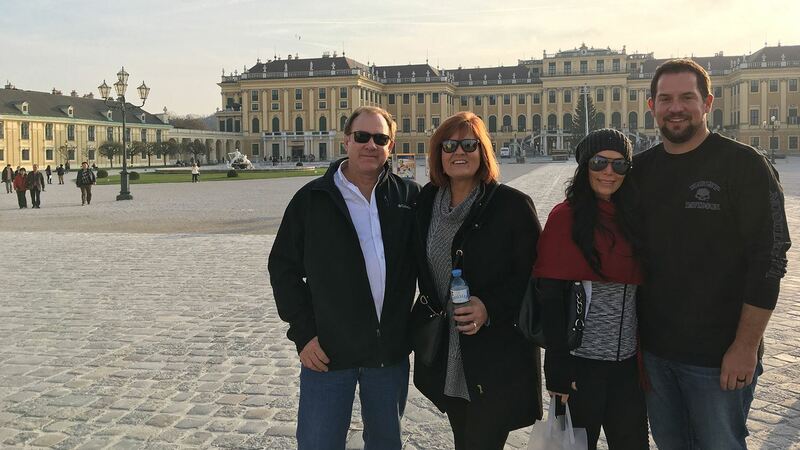 New Zealander Gary Martin and American Troy Feuss got to know the Fronius headquarters and were introduced to Austrian culture. To coincide with Schweißen & Schneiden 2017, Fronius Perfect Welding posed the question “What´s your welding challenge?”, asking welders to come forward with welding challenges they were as yet unable to solve. Those interested in taking part had until the end of January 2018 to submit their challenge. 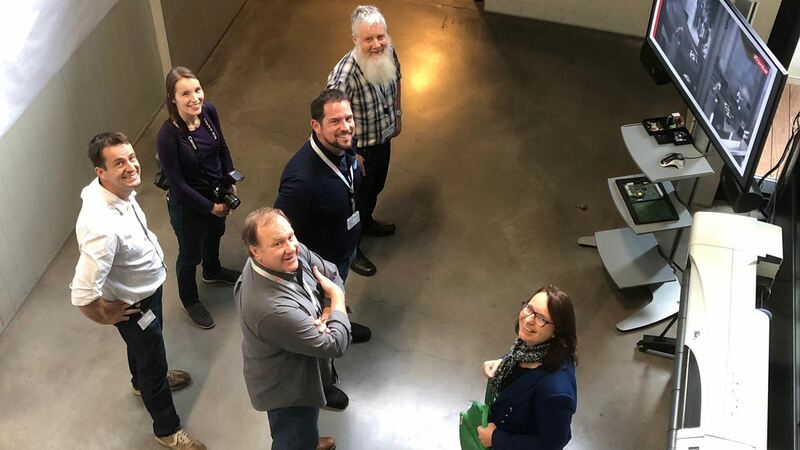 Out of more than 60 high-quality entries, the jury selected Gary Martin and Troy Feuss as the winners, and invited them to an award ceremony at the Fronius headquarters in Wels. In the meantime, the Fronius experts set to work on solving their welding challenges. Both winners enjoyed an exclusive tour around the site where Fronius developed their customized solutions. Factory tours of the sites at Sattledt (production and logistics) and Thalheim (research and development) gave them further insight into what is behind the Fronius brand. “Fronius sets incredibly high standards. The production facility is extremely clean and everything is organized along very efficient and professional lines. Another thing I’d say, is I’ve never experienced such a pleasant, relaxed atmosphere at a production site,” enthused Troy Feuss, sales manager at Postle Industries, clearly impressed. The product tests at the research and development site also drew a lot of interest: “Fronius invests a great deal in the development of its products. They put their devices through some very demanding tests. We were very impressed by it all,” according Gary Martin, Systems and Process Engineer at Hamilton Jet. They then proceeded to the evening event when the winners were presented with their awards. Elisabeth Engelbrechtsmüller-Strauß (CEO of Fronius), Harald Scherleitner (Global Director Sales & Marketing Perfect Welding) and Harald Langeder (Global Director Research & Development Perfect Welding), presented the contest winners with the Welding Challenge Award. The theme of the evening event was “What’s your welding challenge? 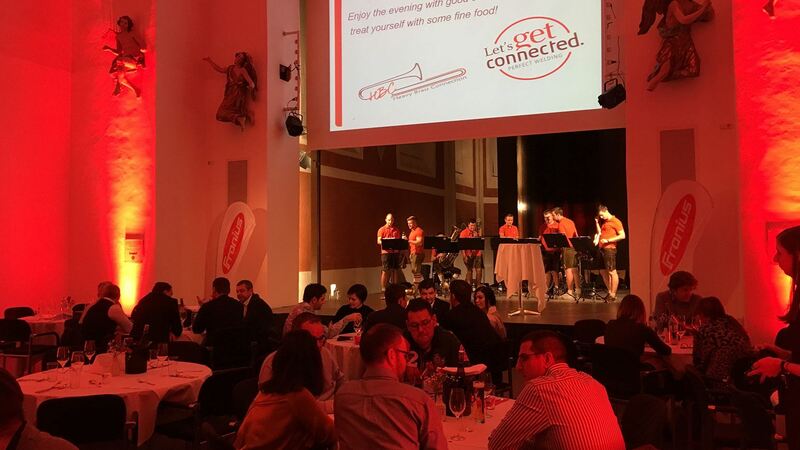 Let’s get connected.” In his welcome speech, Harald Langeder underlined how important it is for users like Troy and Gary to share their challenges with Fronius in order to help continually drive further development. Because connecting with one other is the key to successful, innovative partnerships – another great reason to celebrate.